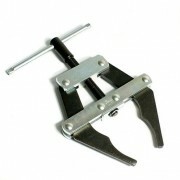 A rage of chain tools are available including Chain Breakers and Chain Pullers. The easiest way to break chain whether it is on the job or on the work bench is with a Whale chain breaker. Available to suit chains from 3/8" up to 1 1/4"
No. 50 3/8" - 5/8"
No. 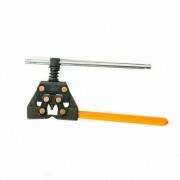 60 3/8" - 3/4"
No.100 3/4" - 1 1/4"
This unique tool was designed to make roller chain installation quick and easy. In fact it's almost like having a third hand. Available to suit 3/8" up to 2" chain. No. 35 3/8" - 3/4"
No. 80 1" - 2"